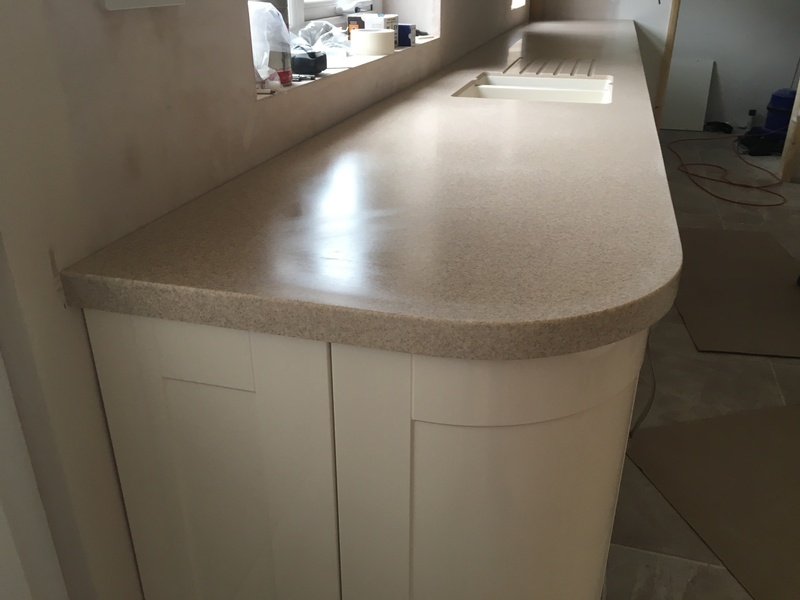 A recent customer project in Stotfold. 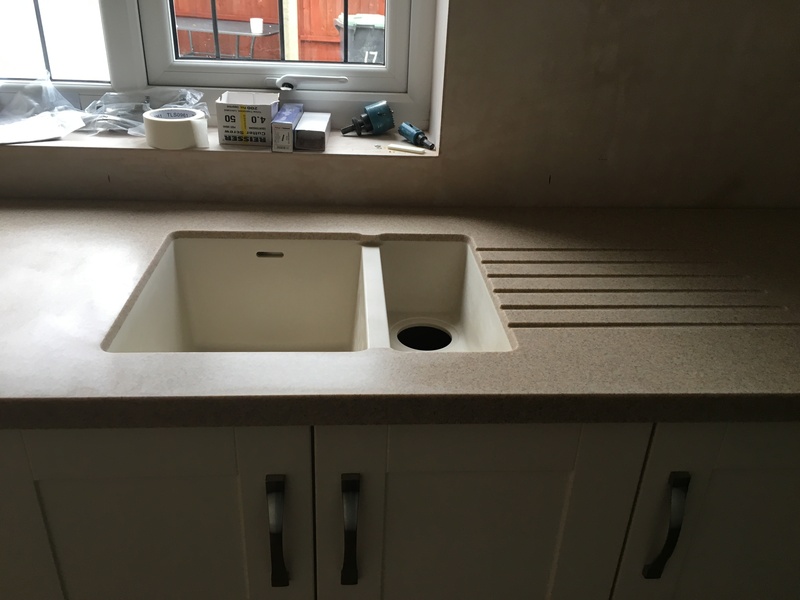 The simple galley kitchen was finished with a Hanex solid surface in the colour Sandbank. 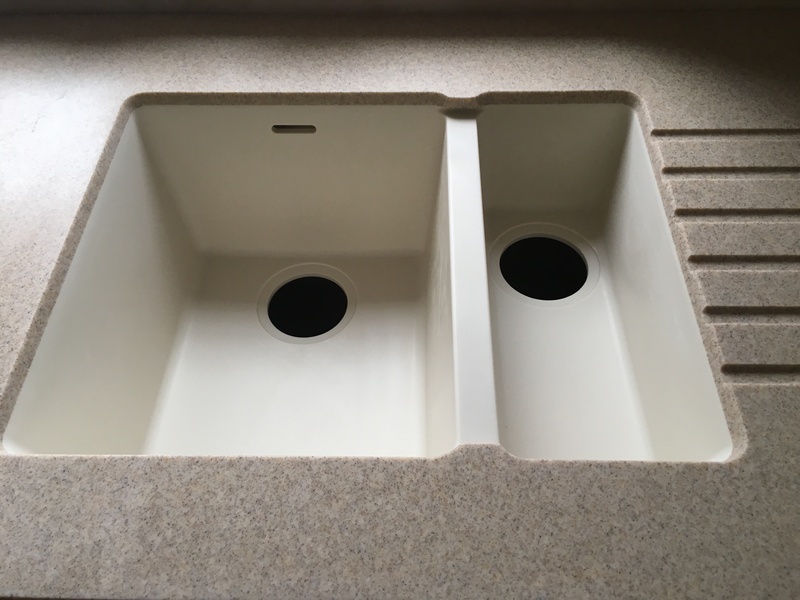 The worktop ends were curved and a nougat cream bowl and a half sink was built in too.